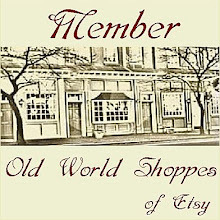 My Blog: Etsy Twitter Team: Shop of the Week is ME! 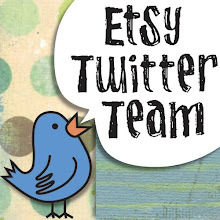 Etsy Twitter Team Shop of the Week! The Etsy Twitter Team; and this week, I will be SOTW (shop of the week). This means that I was lucky enough to be interviewed by one of my lovely team members; this article can be seen on our Team Blog (just click on the link). Along with previous Shops of the Week! (so check those out too). 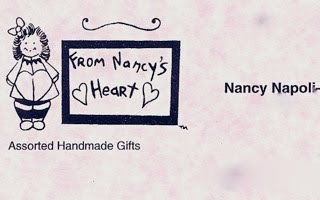 But for this week, I am attempting to open myself up a bit online on my blog and let everyone see how, From Nancy's Heart, originated. I'm going to share some treasured secrets, along with original ornaments; drawing & sketches; items that have been put to rest along with those designs coming for 2010. 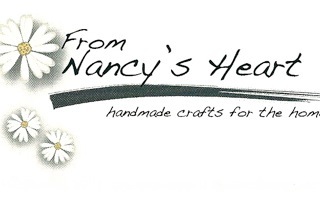 So I hope you enjoy this trip into the history of From Nancy's Heart and please stop by my shoppe and drop a line to say, "HI"! So it's 1992, I find myself laid off from a job I had for 5 years. I had been doing crafts for some time prior to this, doing various craft shows. Primarily, I made dolls. I love dolls, have I ever mentioned that? Possibly not. Well, back to the dolls- I'll post a photo of them tomorrow; they (the dolls) were a major part of my "line" as it were. I was known as the girl who sold dolls. All the dolls either had wooden heads or wooden legs & bodies... there even was a year that I only made spool dolls; but, no matter what I made ~ I would always make it out of wood! Now, finding myself laid off ~ which is exactly the time you take chances ~ I decided to go into wholesale! I had NO idea how to go about it & how to display a booth, I think you have the picture... but I did it anyway. Above is my very first business card! I was dating a fellow who is a natural artist and came up with this "Dolly" design. That Little Girl logo has been with me for over 17 years! open a brick n mortar shop! I'll show you all that tomorrow as well! we wrote up enough orders to continue for another year. (below) when I decided to open up my Etsy Shoppe! Stop by tomorrow and see more from the workshop!